Dieser 8 Oszillatoren-Synthesizer Quadratid mit 2 Filtern und VCAs ist hybrid – die Oszillatoren sind digital. Dazu kommt noch ein Federhall und Sequencer mit Touchfeldern. the EoWave Quadratid has 8 digital oscillators, 2 filters and a VCA – and can be played polyphonically (para) or unison and does quite some things with spread and tuning of the „swarm“ oscs. simple sequencer built in as well. 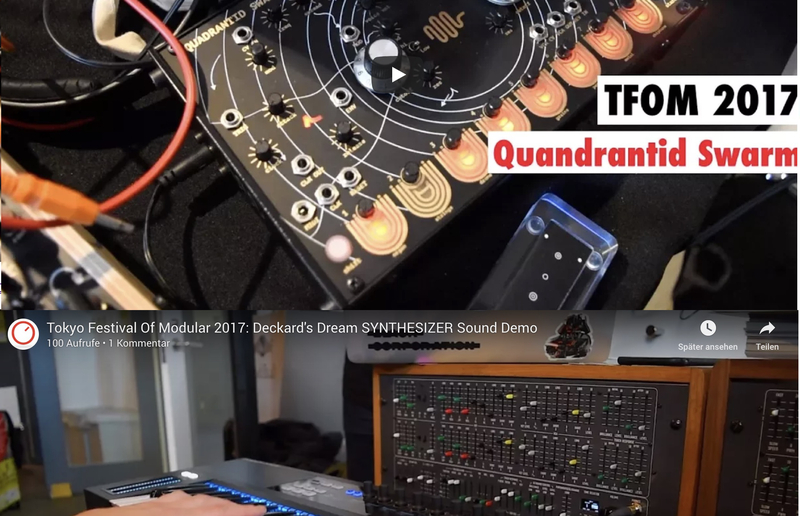 Deckards Dream – CS80 Clone is finally there – not a good demo but it is there..
3. MIDI HD kommt ins Rollen..
MIDI HD sollte ja kommen, passiert ist aber eigentlich nichts. Nach dieser Konferenz, die man speziell bei Index 27 gut 10 Minuten sehen sollte kann man aber sagen . das würde sich technisch sehr lohnen aber es wäre eben nur das Protokoll was sich verbessert. Die Normung der Miniklinken-MIDI-Lösungen wegen der flacheren Bauweise der Buchsen ist weiter ungenormt und das ist richtig schlecht, dass man das verschlafen hat. Aber das MIDI HD Protokoll kann eine Menge, was ich hier mal gelistet habe. 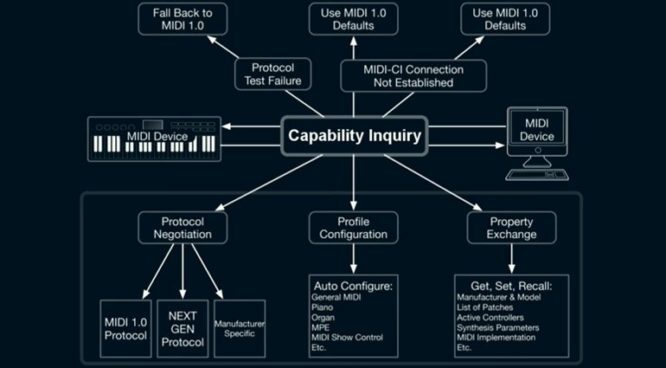 MIDI HD is back in discussion – check this – it is a good approach but maybe not enough to make it real – it’s a good start to check the video at about 27:00 for some minutes, it is planned to raise the speed, let the machines negotiate about speed and level, organize sounds in a new better way, get a lot more channels and controller adresses as well as attaching data to notes, so you can add new sensors and stuff to a new controller that must not be like a piano as well as some more things like NRPN Controller cascades can be handles more easily – atm it is about 2 hands full of companies, but to reach a critical mass it may need to be more and – there is still no solution to the mini jack MIDI chaos that is already there and they are all not compatible to those of other companies using those audio connections as MIDI instead of the DIN 5 pole connector, because it is simply to big to fit into new machines..
Zurück Roland Drummachine TR8 as Drone Source – no beats!